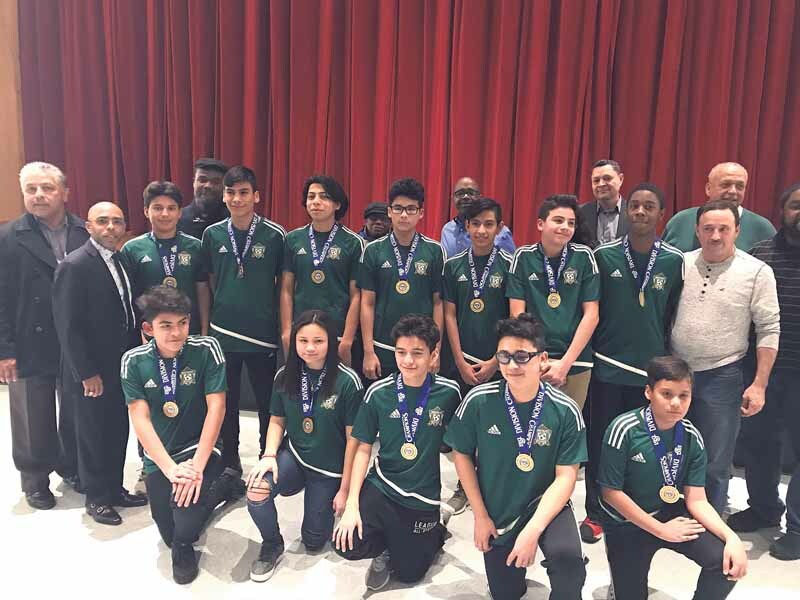 Members of the board of education and administration recognize the White Dragons soccer team with medals. 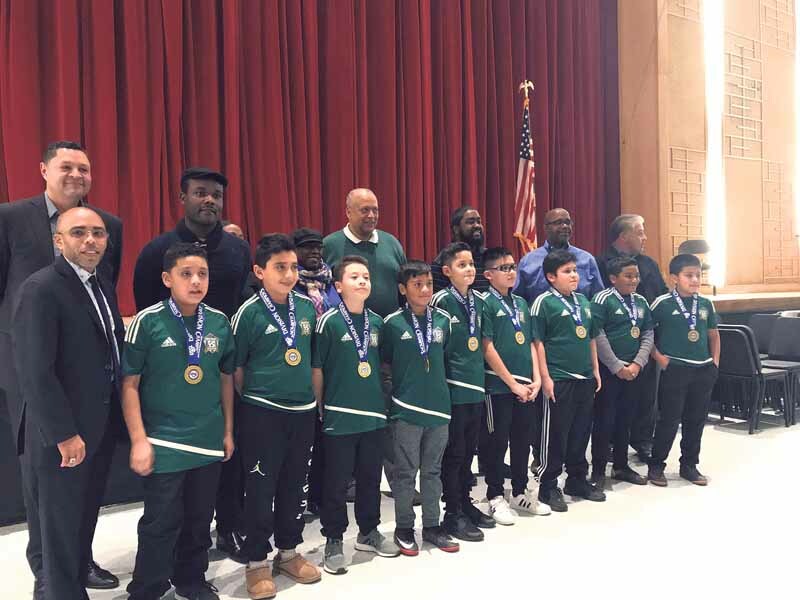 Last week’s Westbury School District Board of Education meeting opened with the community’s star athletes being recognized for their accomplishments. 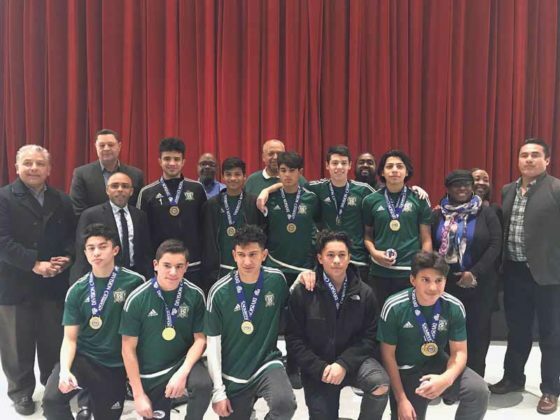 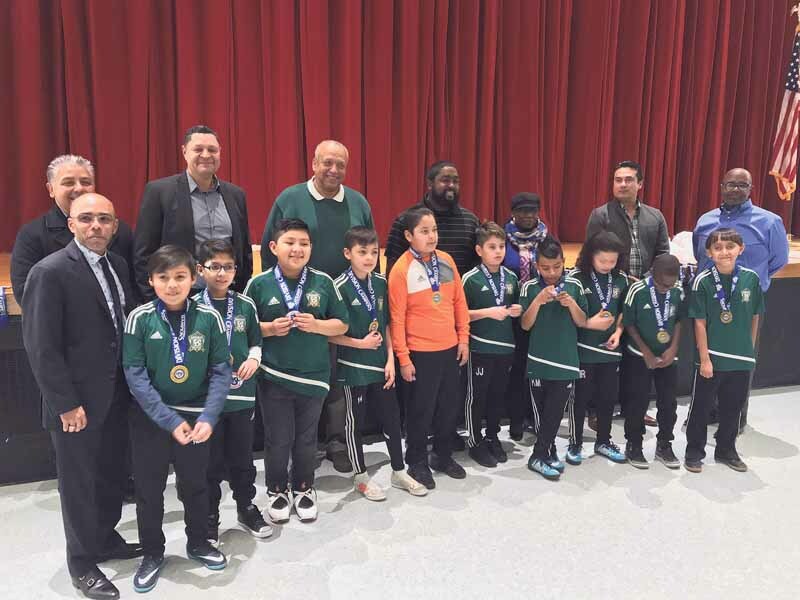 The Westbury Youth Soccer Club, a three-year-old organization that has already met with success, honored their athletes as well as thanked the board of education for their ongoing support of the club. 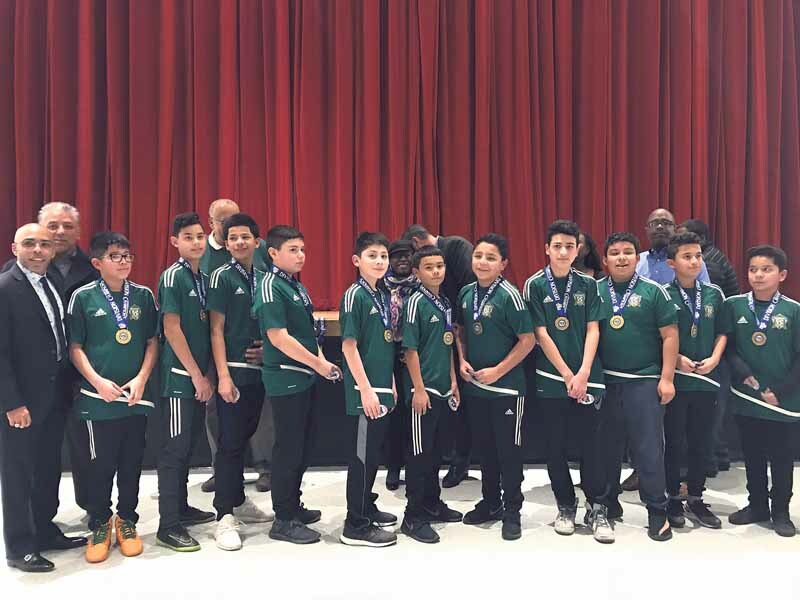 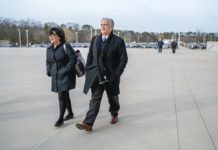 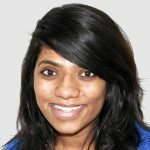 Club president Carolina Guardado noted that in addition to teaching the kids—both boys and girls who range in age from 4 to 16—how to play soccer, the coaches instill positive values to the athletes. The Gold Dragons took home Long Island and Division championships. 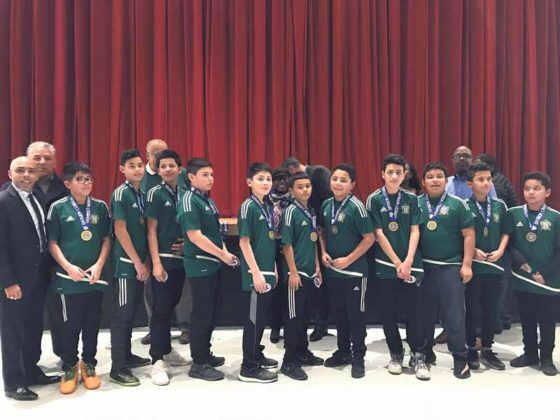 And the team didn’t just take home sportsmanship trophies; several of the club’s team won first place in their division, including the U11 White Dragons, U13 Green Dragons and U15 Red Dragons, with the Gold Dragons winning the Long Island and Division Championships.